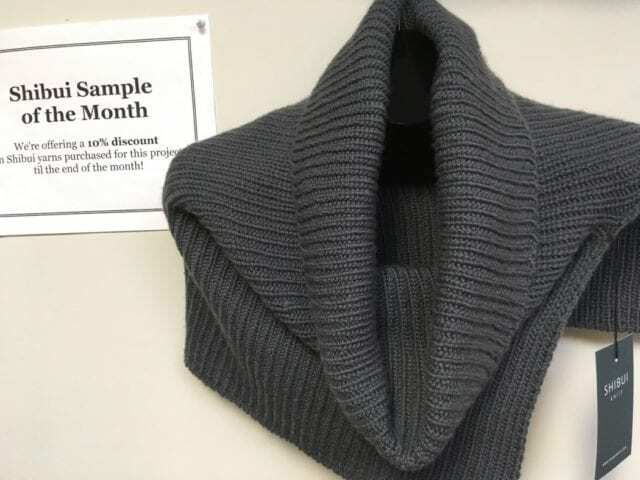 Shibui Sample of the Month: Half and Half Cowl. February is here, and with it, a new Shibui Sample of the Month! We offer a 10% discount on Shibui yarn purchased for our featured sample until the end of the month. 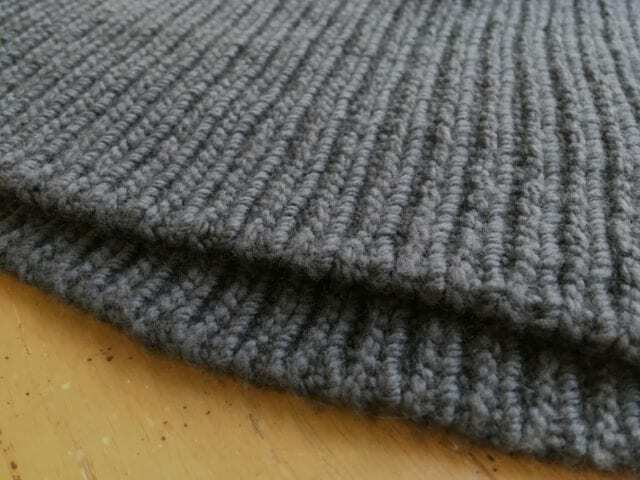 This month’s sample is the Churchmouse “Half and Half Cowl,” a simple ribbed cowl with a slit halfway up to create an opening over the shoulder. 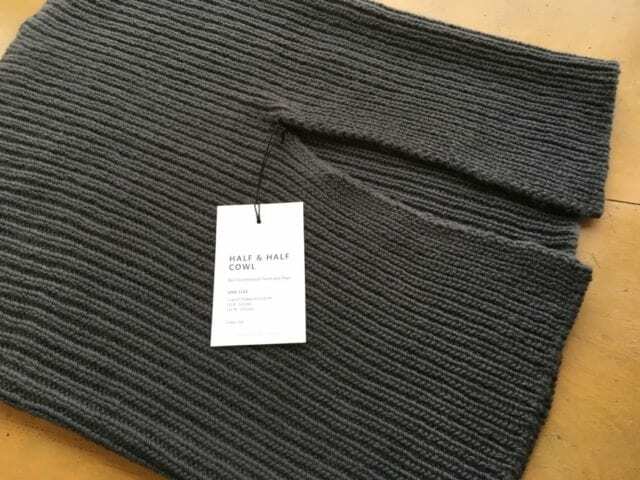 “Half and Half Cowl” is knit with Shibui Drift, a worsted weight blend of 85% extra fine merino wool and 15% cashmere. It’s just as soft as that combination sounds, a perfect choice for a special accessory like this. Come by the shop to before February 26th to try on the “Half and Half Cowl” and get Shibui Drift at 10% off to make one of your own!